Lots of Affiliates in the news around the country! Seattleâ€™s Museum of Flight is home to the American Fighter Aces Association (AFAA) and an extensive collection of artifacts, documents and exhibits that tell the legendary stories of the Fighter Aces. It supports more than 700 â€œFriendsâ€ of the Aces in AFAA chapters across the country who are dedicated to championing the stories of these brave pilots, preserving and sharing their legacy. Dr. Deborah Barnhart serves as Gov. Robert Bentleyâ€™s appointee to the Alabama Space Authority Task Force and was recently appointed to the Smithsonian Affiliations Advisory Council. She is a recipient of NASAâ€™s Distinguished Public Service Medal. 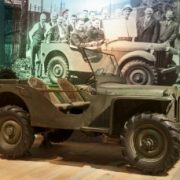 One of the stars of the show is the 1940 model military reconnaissance car designed and constructed in 49 days by the American Bantam Car Co. in Butler. 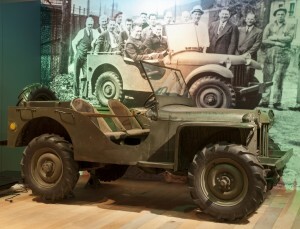 The prototype jeep, known as â€œGramps,â€ is on loan to the history center from the Smithsonian Institution. Behind Gramps is a 10-foot-tall photo mural of the vehicle surrounded by the engineers, managers and workers who built it. We Can Do It! WWII is the title (playing off the famous Rosie the Riveter poster) of the new Senator John Heinz History Center exhibit exploring wartime Pittsburgh, during the 1940s. [Photo Gallery] The Samuel D. Harris National Museum of Dentistry, which opened in 1996, is an affiliate of the Smithsonian Institution that is operated by the University of Maryland School of Dentistry. The museumâ€™s extensive and fascinating collection includes thousands of items such as drills, extractors, antique mouthwash bottles, toothpaste tubes and antique dental chairs. [VIDEO] On Friday viewers may see live streaming from the Smithsonian’s Air and Space Museum in Washington, D.C., as well as exhibits of sidewalk astronomy. The Wisconsin Department of Tourism has given the Wisconsin Maritime Museum (Manitowoc, WI) a $39,500 grant for their first annual submarine festival, Sub Fest. The festival will be July 10-12.Â During the festival, visitors will see a Naval Art Collection, film showings, and interactive exhibits. Sub Fest was created to celebrate the communityâ€™s ship building history and educate others about the areaâ€™s lasting legacy. Union Station Kansas City Inc. (Kansas City, MO) announced a $360,000 gift from the Marion and Henry Bloch Family Foundation toward a $7.5 million expansion and improvement project. The initiative aims to modernize the streetscape around the station, add a bridge to connect cars and pedestrians to a parking garage and expand the Science City attraction inside Union Station. – Mystic Seaport Museum (Mystic, CT)Â The Seaport received $199,806 to restore the 1908 steamboat Sabino, one of two surviving excursion steamers in the US and the only one on the East Coast. – USS Constitution Museum (Boston, MA)Â The Museum received $50,000 to create a multi-media experience to welcome and introduce audiences to the history and significance of the USS Constitution. – Oklahoma Historical Society (Oklahoma City, OK)Â The Society received $25,000 for the Discovery and Excavation of the Steamboat Heroine, an exhibit and education program on western steamboat travel and the history, discovery, and excavation of a western river steamboat. – Michigan State University Museum (East Lansing, MI) received $30,000 to support the Michigan Traditional Arts Apprenticeships and Heritage Awards Program.Â The Arts Apprenticeship Program will support master artists in their instruction of apprentices in various traditional arts. The Heritage Awards Program will provide public recognition of the master artists and demonstrations/performances by the artist and apprentice teams at the Great Lakes Folk Festival.Â A gallery in the MSU Museum and a website will provide information about the artists and traditions celebrated and perpetuated through these programs. – American Jazz Museum (Kansas City, MO) received $20,000 to support the 18th & Vine Jazz and Blues Festival. The one-day indoor and outdoor festival will feature ticketed performances by jazz and blues artists on multiple stages. Musical offerings are supplemented by educational programming including jazz storytelling, a workshop, and lectures. Additional accompanying project activities may include performance opportunities for local youth jazz ensembles and a public master class with the festival’s artist-in-residence. – Children’s Museum of the Upstate (Greenville, SC) received $15,000 to support a residency by Japanese anime artist Makoto Shinkai to coincide with the museum’s hosting of the exhibition Hello from Japan. The residency activities will include students from the South Carolina Governor’s School for the Arts and will incorporate art-making workshops, lectures, and an anime film festival. The residency and the exhibition, organized by the Children’s Museum of Manhattan, will promote education about Japan’s anime tradition through direct engagement and learning. The Hubbard Museum of the American West (Ruidoso Downs, NM) will present two touch screen interactive exhibits thanks to a $7,500 Hubbard Foundation grant. The award will be used to enhance the wagon exhibits and offer more detailed information to visitors. Dr. Dennis A. Casey, educator at the Virginia Museum of Natural History (Martinsville, VA) was elected District VIII Director of the National Science Teachers Association. The State of Connecticut named Mystic Seaport (Mystic,Â CT) President Steve White the 2015 Tourism Leader of the Year. The award honors an individual who has made a singular contribution to the advancement of the tourism industry in Connecticut. Kate Vengrove has been named interim director of Hunt Hill Farm Trust (New Milford, CT). Amy Hollander has been named the new executive director at the National Museum of Industrial History (Bethlehem, PA). While you’re inÂ D.C.,Â don’t miss the opportunity to see what’s new at the Smithsonian!Â We know that it can be daunting to choose among all the museums and exhibitions, so here are a fewÂ suggestions, tailored to your time at the Affiliations conference. Before the conference starts, take advantage of a tour of Darren Watersonâ€™s Filthy Lucre, a remix of the iconic Peacock Room (details here). A decadent ruin collapsing under the weight of its own creative excess, Filthy LucreÂ forms the centerpiece of an unprecedented exhibition that highlights the complicated tensions between art and money, ego and patronage, and acts of creative expression in the nineteenth century and today. Itâ€™s a way to see Whistlerâ€™s Peacock Room in a completely new light. 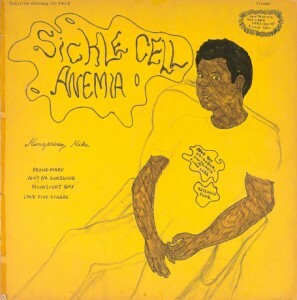 Mingering Mike: SICKLE CELL ANEMIA, 1972. Head to the Smithsonian American Art Museum a little ahead of Congressional Night at the Smithsonian to catch a tour of theÂ Mingering Mikeâ€™s Supersonic Greatest Hits exhibition. Â If you’ve seen the retrospective documentaryÂ Searching For Sugar Man, you will loveÂ Mingering Mike, the soul superstarÂ nobody has everÂ heard of. Learn about him and hisÂ visionary collection of fabricatedÂ music ephemera withÂ Leslie Umberger, curator ofÂ folk and self-taught art. She will discuss the artistâ€™s influences, share how the museum came to own the collection, and guide you through aÂ collection of over 150 works of art. Why not spend your lunch break learning “What Makes a Victorian Garden Victorian?”Â Join one of the Smithsonian Gardens’ knowledgeable horticulturists who will describe the various features of the Enid A. Haupt Garden, including its plants and flowers, the Asian-inspired moongate garden, and the Moorish-inspired fountain garden.Â Meet outside in the Haupt Garden, near the south entrance doors to the Smithsonian Castle.Â Click here for complete information. In this new exhibition, see documents, recordings, laboratory notes, and apparatus from the Volta Laboratory. Learn about the early history of sound recording in the United States. Hear some of the earliest sound recordings ever made including the only known example of Graham Bell’s own voice, thanks to sound recovery techniques developed by Lawrence Berkeley Laboratory in partnership with the Library of Congress and the Museum. The much anticipated National Museum of African American History and Culture is expected to officially open its doors in 2016. 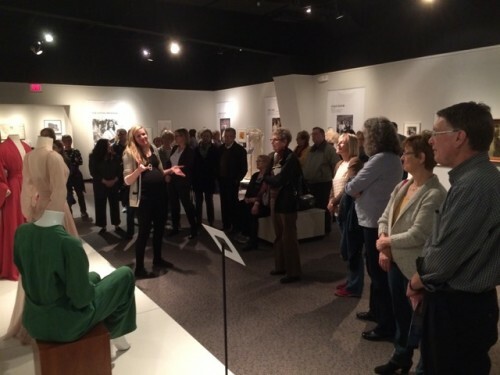 Check out what all the excitement is about right now!Â A new exhibition at the National Museum of American History offers a preview of the artifacts and moments chronicled in the collections. Right downÂ the hall from conference sessions in the Ripley Center, you will find The Divine Comedy: Heaven, Purgatory, and Hell Revisited by Contemporary African Artists exhibition.Â A combination of new commissions and recently produced works of art come together in this exhibition to demonstrate the ongoing global relevance of the themes addressed in Dante Alighieriâ€™s 14th-century epic poem, The Divine Comedy. 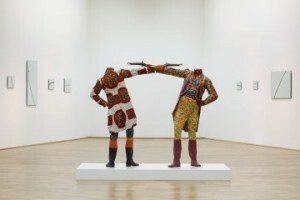 Forty of the best known and emerging artists from 18 African nations and the African diaspora working in media as diverse as video projection, installation, painting,Â sculpture and textiles explore diverse issues of politics, identity, faith, and form. In so doing, they reveal that each personâ€™s vision of heaven, purgatory, or hell is unique. 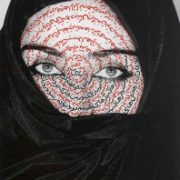 power and identity in the Islamic worldâ€”particularly in her native country of Iran.Â Shirin Neshat: Facing HistoryÂ presents an array of Neshatâ€™s most compelling works, illuminating the points at which cultural and political events have impacted her artistic practice. 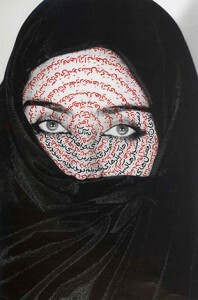 For a complete list of all the events and exhibitions at the Smithsonian,Â click here! Even though we’ll see many Affiliates in DC for the Affiliations National Conference, some will be home leading this great roster of events. Dr. Libby Haight O’Connell (Chief Historian, Senior Vice President, Corporate Social Responsibility, History Channel and A+E Networks, and Alumnus of the Board of the National Museum of American History) presents The American Plate: A Culinary History in 100 Bites, a time-traveling dinner program at Plimoth Plantation in Plymouth, 6.4. 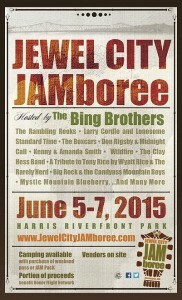 Attendees at the Jewel City Jamboree in Huntington, WV will hear Smithsonian Folkways recordings. 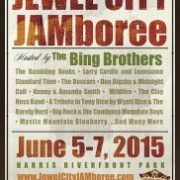 The Heritage Farm Museum and Village will live stream Smithsonian Folkways recordings during its Jewel City Jamboree in Huntington, 6.6. The Wolfsonian at Florida International University opens SITES’ Women, Art, and Social Change: The Newcomb Pottery Enterprise exhibition in Miami, 6.12. The Tampa Bay History Center opens SITES’ Patios, Pools, & the Invention of the American Backyard exhibition in Tampa, 6.20. A team of textile conservators from the National Museum of the American Indian will be touring and consulting with the U.S.Â Army Heritage and Education Center in Carlisle, 6.16-18. The Museums of Sonoma County opens SITES’ I Want the Wide American Earth exhibition in Santa Rosa, 6.20. Twelve Affiliates will welcome interns from the Smithsonian Latino Center’s Young Ambassadors Program from June 29-July 31.Â Thank you to the Adler Planetarium (Chicago, IL); California Science Center (Los Angeles,Â CA); Chabot Space and Science Center (Oakland, CA); Fort Worth Museum of Science and History (Fort Worth, TX); History Colorado (Denver, CO); Museo de Arte de Puerto Rico (San Juan, PR); Museum of Latin American Art (Long Beach, CA); Musical Instrument Museum (Phoenix, AZ); Museum of Flight (Seattle, WA); and the Witte Museum (San Antonio, TX). Our app is back ! The 2015 Affiliations National Conference mobile app will have conference activities at your fingertips. Access all the information you need during the conference on your smartphones and devices. The app will include an online agenda and a notes section that allows attendees to take notes inside the app and email the document to save or share with colleagues. Speaker bios are linked to conference sessions for easy planning during the event. Meeting locations have been formatted in a google map so users can easily get directions from any location around the National Mall. Smithsonian Affiliations National Conference app will be available in your app store in early June. Stay tuned for updates so you can download it before the Conference. https://affiliations.si.edu/wp-content/uploads/2015/05/app_preview.gif 692 350 Elizabeth Bugbee https://affiliations.si.edu/wp-content/uploads/2019/03/si_Affiliations_rgb_single-line_color-280w-1.jpg Elizabeth Bugbee2015-05-26 09:46:422017-03-10 17:50:53Our app is back ! 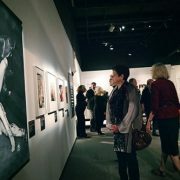 Special thanks for this guest post to Amy Henderson,Â National Portrait Gallery’s historian emerita. AmyÂ is a cultural historian specializing in â€œthe lively artsâ€â€”particularly media-generated celebrity culture. Her books and exhibitions run the gamut from the pioneers in early broadcasting to Elvis Presley, Katharine Hepburn and Katharine Graham. 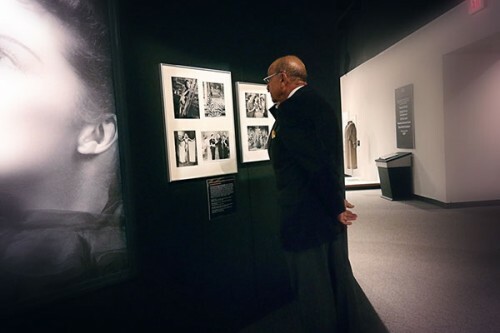 In the late 1980s, I met writer-director Garson Kanin at a Washington dinner party, and he set the stage for one of my happiest adventures as a cultural historian at the National Portrait Gallery. When I discovered that Garson, who wrote and directed all of the Katharine Hepburn-Spencer Tracy movies, lived next door to Herself in New York, I whined until he promised to give me her address. My excuse? The Portrait Gallery needed a fine portrait of the iconic actress! Garsonâ€™s introduction worked, and I got to know Miss Hepburn in the late â€˜80s and early â€˜90s. I would have coffee and cookies with her when I traveled to New York, and we always went on an exploration of all the portraits she kept in her townhouse; there were a lot, since she had known artists her entire life. She mentioned â€œall the costumesâ€ on the upper floor, but I never got a glimpse. Now, thanks to the Durham Museum in Omaha, the costumes are on full view. 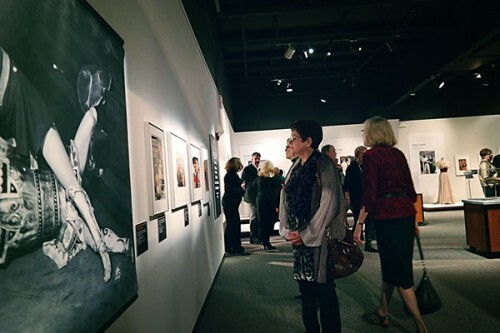 â€œKatharine Hepburn: Dressed for Stage and Screenâ€ is drawn from the Kent State Museumâ€™s Hepburn Costume Collection, and features more than 35 costumes worn in 21 films and 6 stage productionsâ€”and some of her private life clothes. My visit was enormous fun. First, the museum itself is lodged in what had been a stunning Art Deco train station that opened in 1931; lofty ceilings and a sense of bustle create an instantly uplifting â€œwowâ€ museum experience. Second, for me it was great to see the costumes Hepburn wore during her long stage and screen career. Her waist was TINYâ€”20â€â€”and it was fascinating to see costumes from such landmark performances as the Broadway version of the Philadelphia Story. I also lingered over the section that spotlighted her impeccably tailored tan slacks, of which she had dozens. 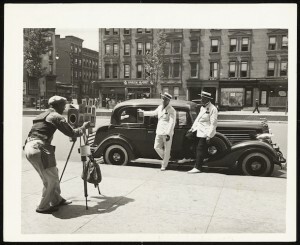 All photos courtesy of the Durham Museum.